We at ‘Your Brinnington’, would like to say a massive THANK YOU to all those who organised tonights event. The event has been officially opened by Her Ladyship, the Mayoress. There are loads of events happening over the week. Please feel free to come along and enjoy what there is to offer! The Brinnington Arts Festival opening and workshops on Monday 25th March will now take place at First House, not Brinnington Park. 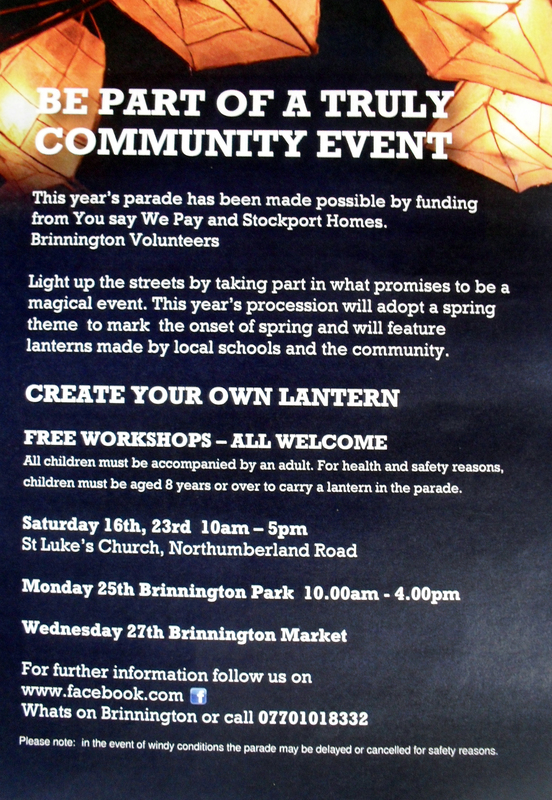 Come and meet the ‘Your Brinnington’ team! Brinnington’s first ever arts festival! 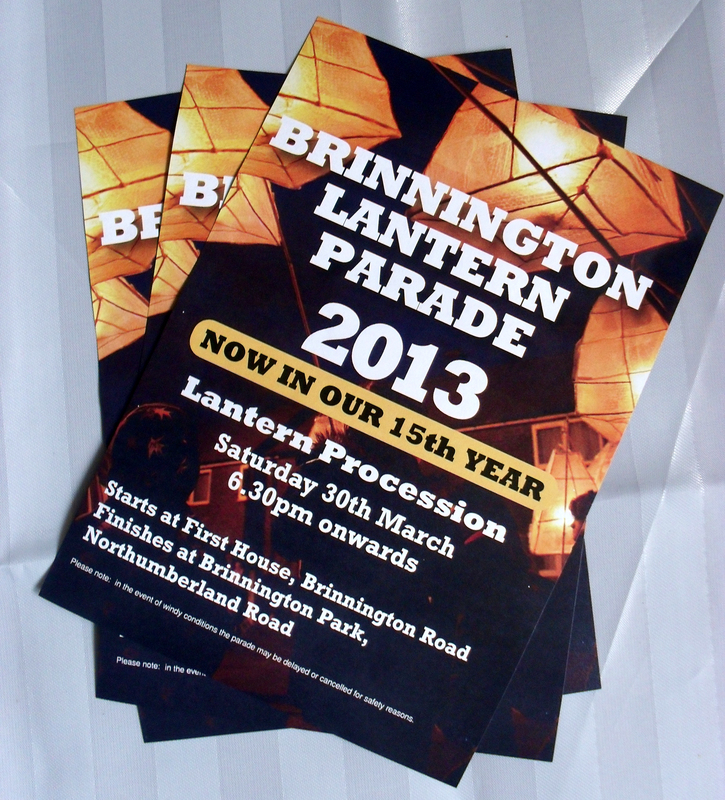 Brinnington Arts Festival takes place March 25th – 30th in venues across Brinnington. During the week-long event co-ordinated by Arc, there will be music, exhibitions, crafts, samba drumming, theatre and art workshops. The Mayor will open the Festival on Monday 25th at Brinnington Park, with residents and visitors invited to take part in free workshops in drumming, lantern-making and easter bonnets. 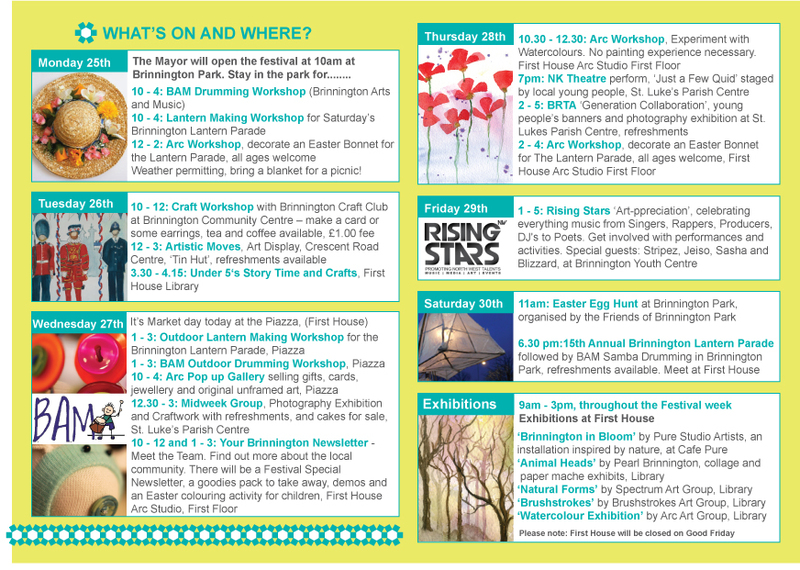 Exhibitions and activities continue across the week including at the Brinnington Market at the Piazza at First House. There are workshops and demonstrations in the Art Studio upstairs at First House and displays in the Library. NK Theatre perform a new show with local young people on Thursday 28th and Rising Stars celebrate everything music on Friday 29th at Brinnington Youth Centre. On Saturday 30th there’s an Easter Egg Hunt in Brinnington Park followed by the culmination of the Festival in a lantern procession in the Park on the Saturday evening. We’ll also be there on Wednesday 27th – come and meet the team and tell us what you think of the newsletter. There will be refreshments and a kids art activity. For more information check out the programme of events here.